Itzzy Nitzzy: Plum NaturStudio All-day-wear Kohl Kajal Challenge! Plum NaturStudio All-day-wear Kohl Kajal Challenge! I am taking the smudge-proof Plum NaturStudio All-day-wear Kohl Kajal challenge! The challenge- Plum claims that the product is 100% smudge-proof and water-resistant! Lets put it to test. Before I begin, let me brief you about the product. The kajal comes in a regular pencil/liner stick form. 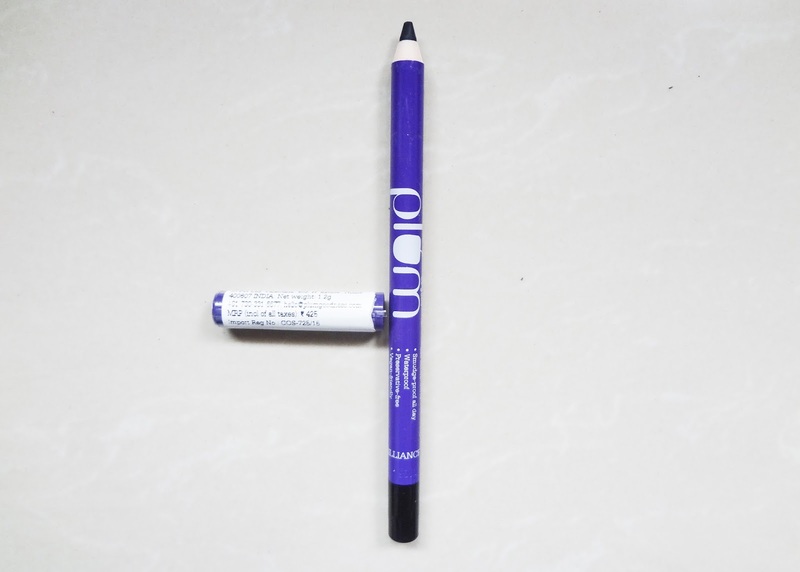 What sets it apart from the others is, the bright purple packaging, gel consistency of the kajal and the PVS-free plastic shaft. This might seem a bit odd if you are used to the wooden body. But they come with the sharpener, making your job easy. It is preservative-free and vegan-friendly which makes it ophthalmologists and vegetarians approved! The kajal is soft, extremely pigmented to the darkest black. Voila! The claim stands absolutely true! The Plum NaturStudio Kajal is indeed smudge-proof and water-proof. And it doesn't fade, even after 12-hours. This is a must-have product for every working woman who wouldn't want the hassle of re-touching and cleaning smeared kajal. It stays put without smudging and streaking your under-eye area. It is priced at Rs 425, which isn't exorbitant, considering its efficiency. So go on, get beautiful lined eyes in just one swipe!